You can never have enough resources available to you when you are advocating for the best interests of children. If you need a resource you cannot find here, or if you know of a valuable resource that is not listed but should be, let us know. We want to be a centralized location to provide resources to all who want to help children. 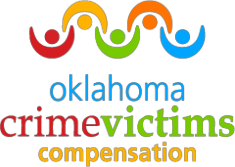 Oklahoma Crime Victims Compensation (OCVC) may be available if you or someone you love suffered physical or psychological injury due to a violent crime that occurred anywhere in the state of Oklahoma.